Name a better duo than Any Dogs and Bingo...we'll wait. 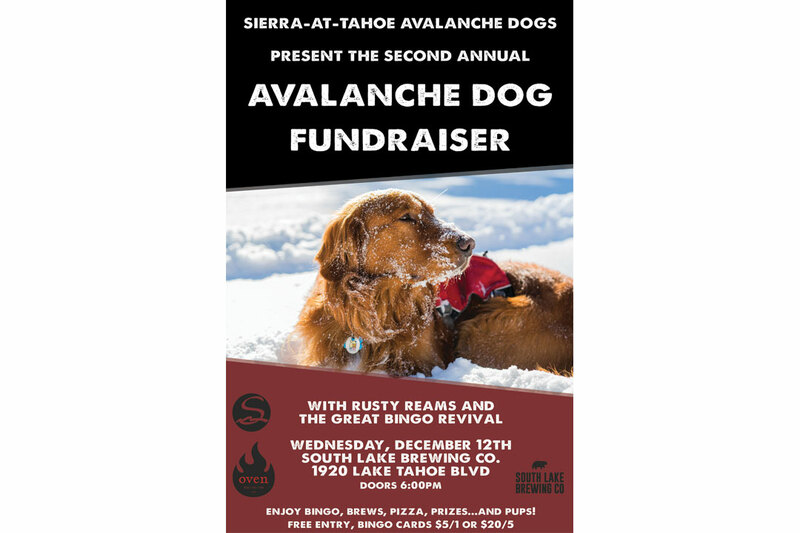 Join the Sierra-at-Tahoe Ski Patrol and their furry friends for a night of brews, pizza, bingo, and giveaways! Host South Lake Brewing Co will be dishing out beverages while Oven makes toasty gourmet pizzas. Bingo cards are one for $5 or five for $20. All proceeds go to the Sierra Avalanche Dog Foundation so our pups can save lives all season. It's the paw-fect opportunity to support our ski patrol and have a great time too!